Many of the cakes are decorated using fondant, which is like edible marshmallow playdough. You can easily mold it into shapes or cover your cake with it to great effect! Below you'll find some amazing Pokemon Go cakes. Click on the image to see what party it comes from! To start off our list of 12 must-see Pokemon birthday cakes we have this bright and colorful rainbow Pokemon Go birthday cake. It's absolutely covered in candy and so over the top! We love it! 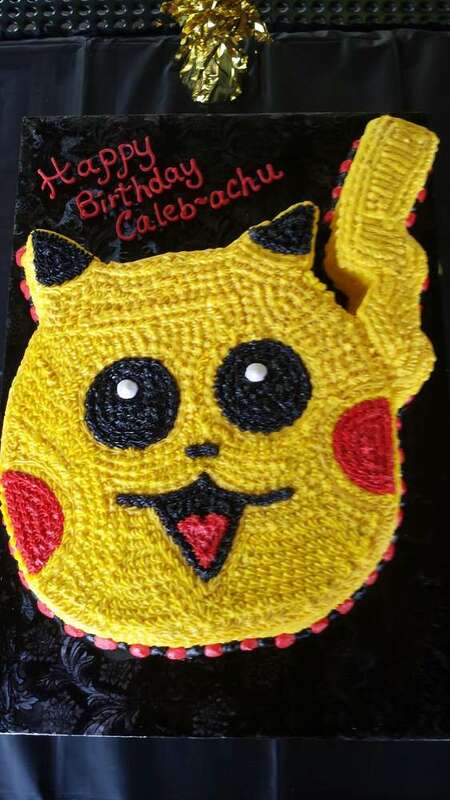 Check out this cool Pokemon Pikachu birthday cake that is definitely out to impress! You can easily make one yourself with a Pikachu pan and lots of yellow icing! 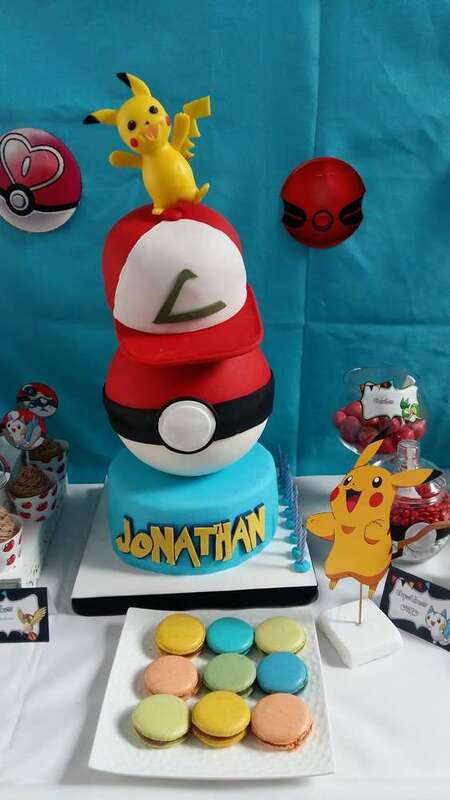 What a great Poké Ball cake with Ash Ketchum's hat and topped with a Pikachu! 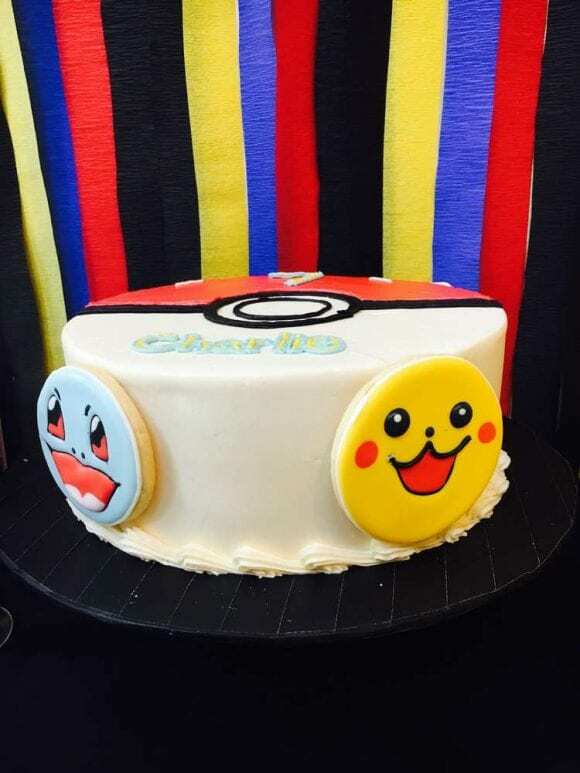 Take a look at this cool 2-tiered Pokemon birthday cake with a fondant Ash Ketchum silhouette and a Poké ball decorating the top tier. You can make your own fondant Poké ball with a cookie cutter! Transform a regular cake into a Pikachu one by ending these fun printable Pikachu head and tail toppers. It's a great solution if you're stuck for time and couldn't be easier! 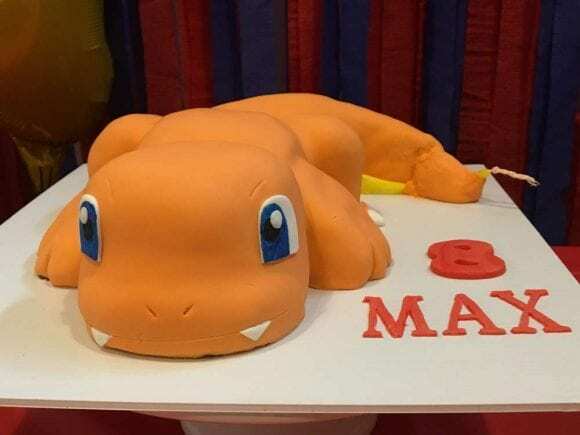 If you love Charmander then you don't want to miss this fantastic Charmander birthday cake, covered in loads of orange fondant! Charmander is a lizard and was one the first pokemons' to be created. The flame that burns at the tip of its tail is an indicates his emotions. How cool is that?! It's a great place to put the birthday candle. 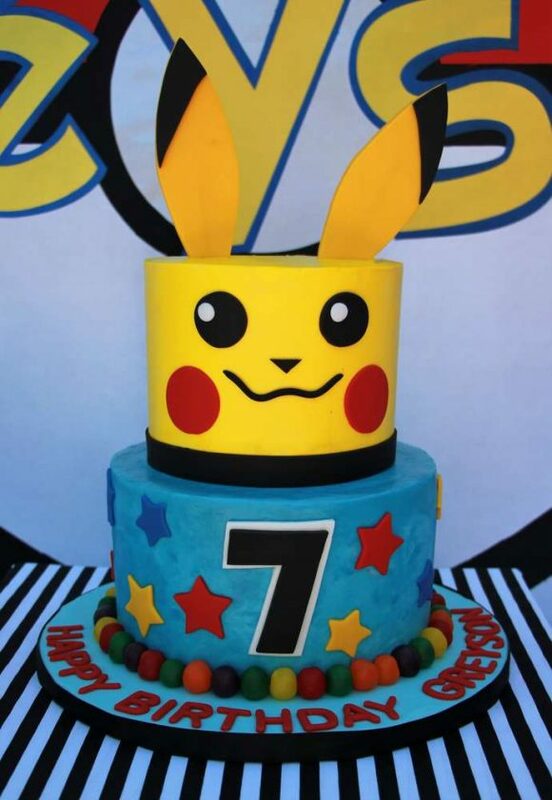 What a fun Pikachu tiered birthday cake! The bottom tier is covered in colorful fondant stars, whereas the top tier is a Pikachu with ear toppers! 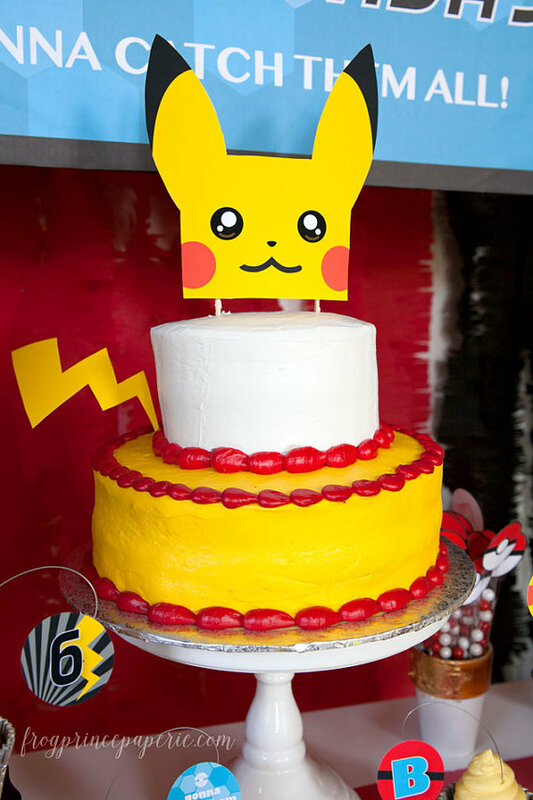 This Pikachu and Poké ball tiered birthday cake is great! It's definitely a showstopper and will look fantastic on a dessert table. Girls love Pokemon as much as boys' do and this pink Pokemon birthday cake is so cute! 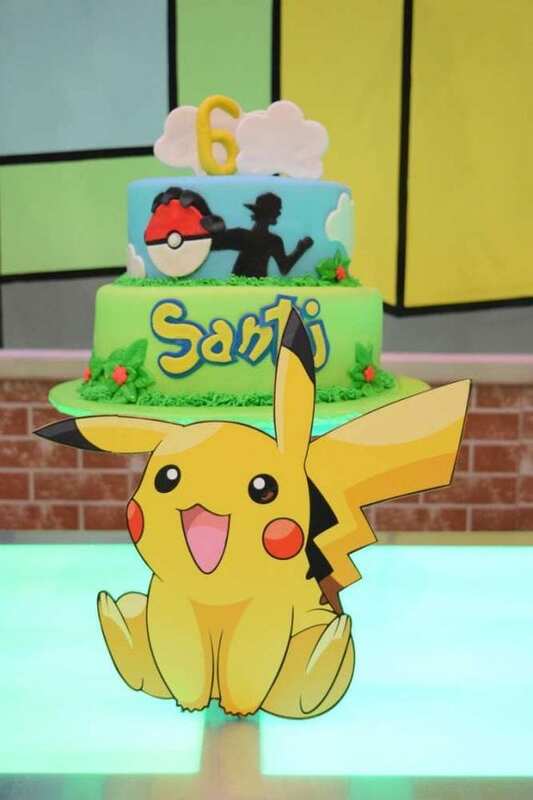 It's decorated with a bunch of different fondant Pokemon that make the cake simply adorable! 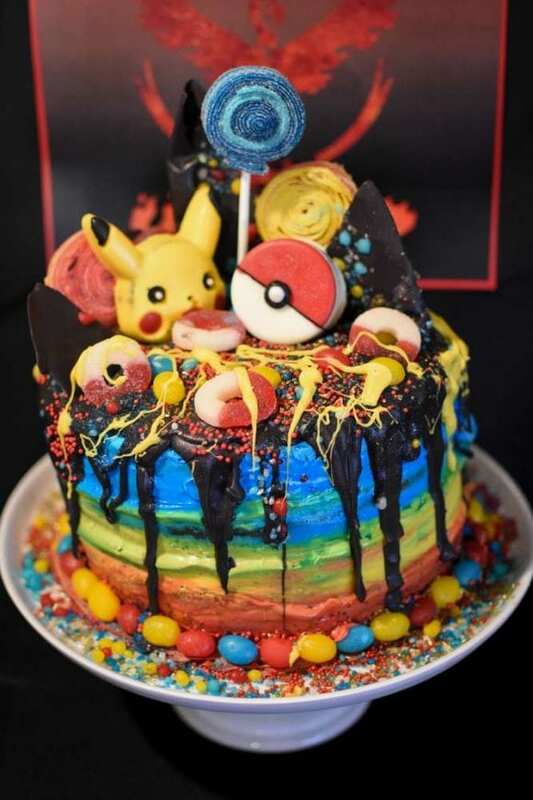 To finish off our roundup of Pokemon birthday cakes we have this great cake that is decorated with a bunch of Pokemon cookies. 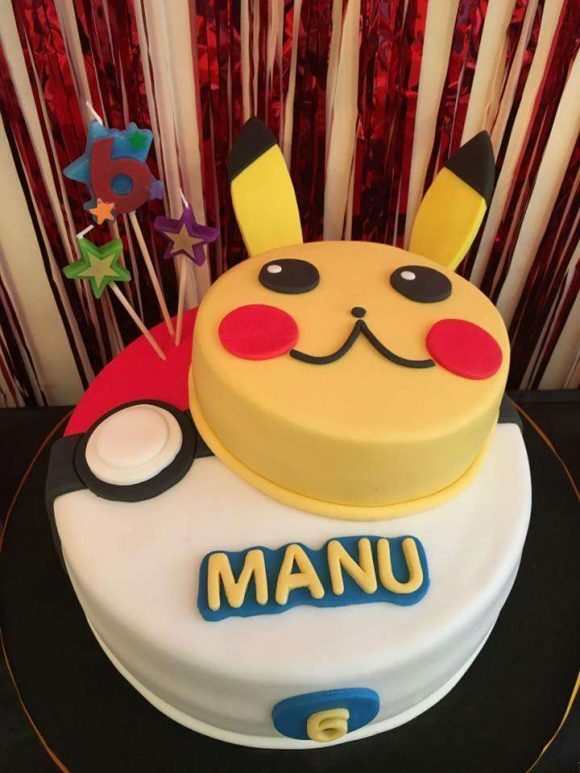 It's a fun and easy way to transform a regular cake into a Pokemon themed one! 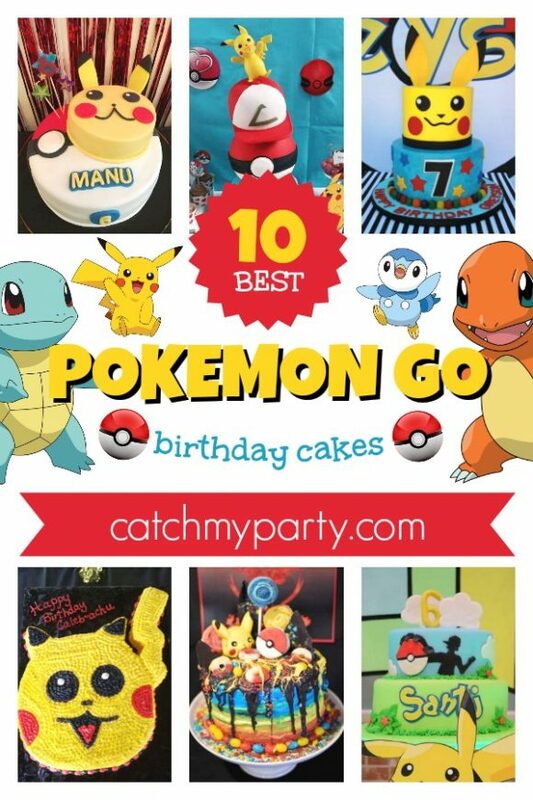 Need more Pokemon party ideas? 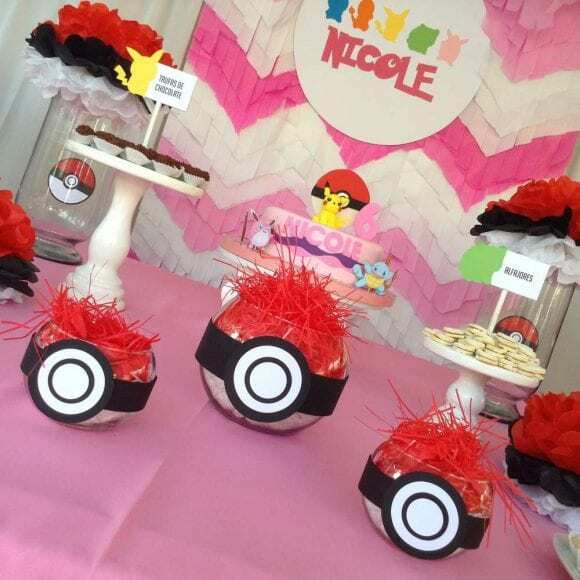 For more inspiration, check out all the awesome Pokemon party ideas, on our site, and check out our Pokemon party supplies from vendors with listings on Catch My Party!